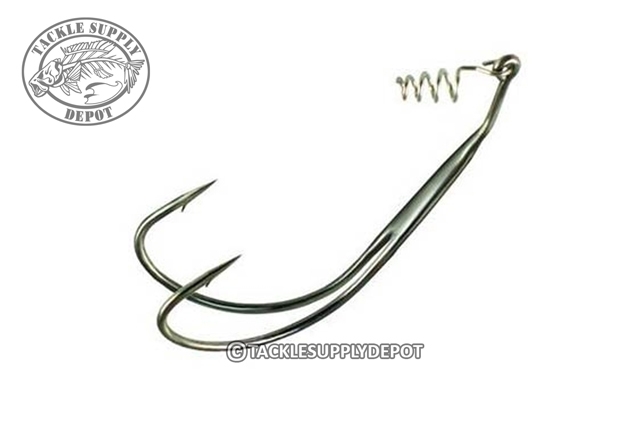 Doubling your chance of hooking up on a frog bite, the Stanley Double-Take Hook also features longer shanks to further reduce the likelihood of bass missing the hooks on the strike. Great in thick cover where its important to have an extra hook, the combination of the double hook design and longer shanks also make the bait more balanced and less likely to roll over at high speeds than with a single-hook frog-rig. Specially designed for use with the popular Stanley Ribbit, the Stanley Double-Take Hook will help you land more fish.